While the idea of composite wood was not new, the first sheets of particleboard, common in MCM kitchens and in midcentury furniture of all kinds, was produced in WWII Germany. With resources such as wood scarce, mixing sawdust, wood chips and resin together in a way that could produce this layered pseudo-wood was an attractive and useful invention. The first particleboard factory in Bremen, Germany was bombed during the war, but an engineer in Switzerland picked up on the idea and improved upon it. By 1949, a factory in Sassenburg, Germany could produce sheets of particleboard with an automated process for mass production. While today we may be wary of particleboard as cheap and filmsy, there are varying strengths and qualities of the composite material. 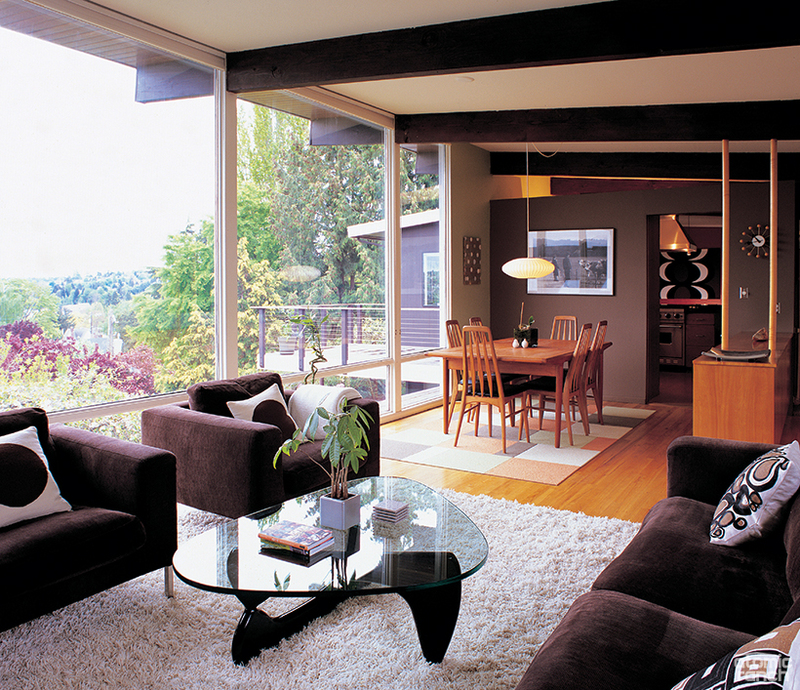 In Midcentury Modern designs, enduring pieces usually include high-quality particleboard with a teak veneer to make it more attractive. Molded plywood is what gives the infamous Eames lounge and ottoman its iconic look. Charles Eames and Eero Saarinen had designed award-winning furniture using a plywood shell, but at the time in 1940, there was no known way to mass produce it. Charles Eames wanted to persist to find a way, and after marrying Ray and moving to California in 1941, the Eamses’ persistence led them to partner with the military. They proposed their idea for molded plywood leg splints to the US Navy, who in turn gave them a contract and access to military technology and manufacturing equipment. This opportunity allowed them to develop the methods for mass producing curved, molded plywood. Their wartime efforts led to 5,000 leg splints and gave them the knowledge and experience that made possible the iconic Eames Lounge Chair in postwar years. 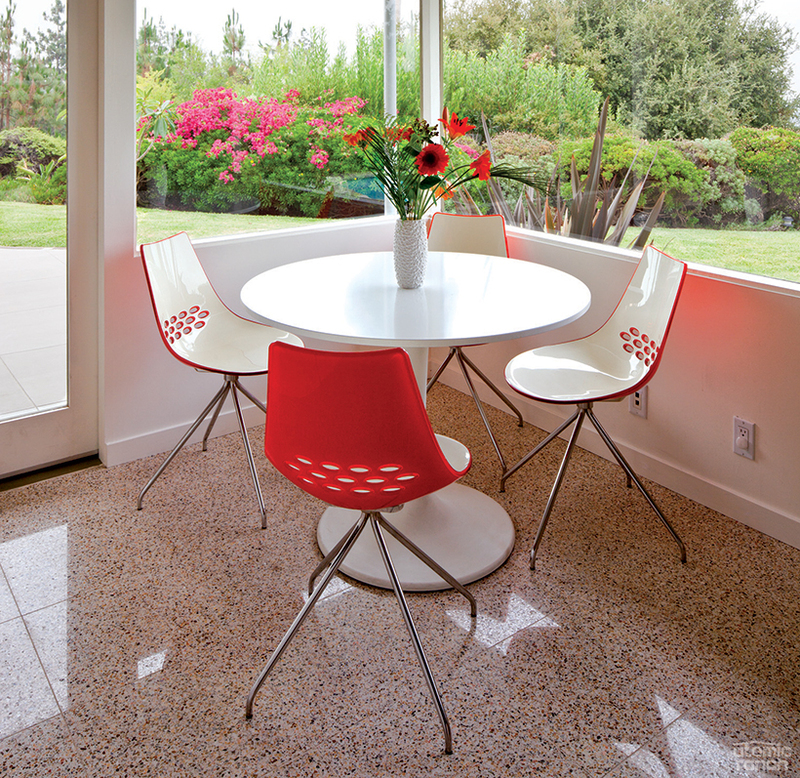 The beautiful swoop of Saarinen’s Tulip table is thanks to fiberglass, a World War II carryover. While variations of fiberglass existed prior to WWII, the war accelerated its use and proliferation. A few years before the war, Carlton Ellis of DuPont patented polyester resin, which could be combined with fiberglass. During the war, the Germans had picked up on this technology, British intelligence found out and shared the information with US firms. This led to war-time US-production of fiberglass for military aircraft. 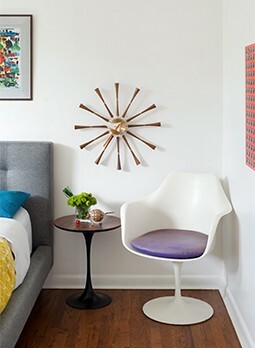 Eero Saarinen’s Tulip table and chairs and Eames Molded Fiberglass Chairs used the wartime technology for mass producing this material for their iconic peacetime furniture. Your large yet lightweight window frames are all thanks to fighter plane technology. 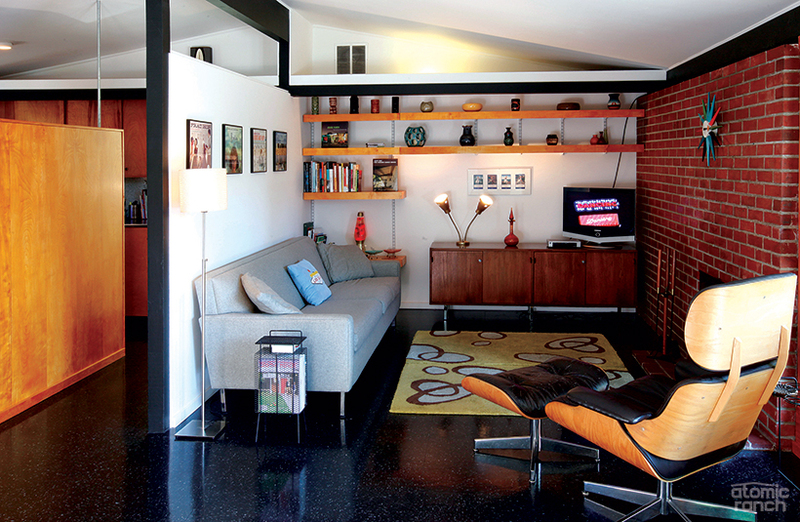 Midcentury upholstery and kitchen floors have WWII to thank for the proliferation of vinyl. Before the war, vinyl was not in wide use because inventors and manufacturers had not thought of practical uses for the material. With the war looming and then in full swing, vinyl emerged as an attractive option for reducing dependence on rubber, a limited resource. During the war years, vinyl became the standard for safely and effectively coating electrical wire. 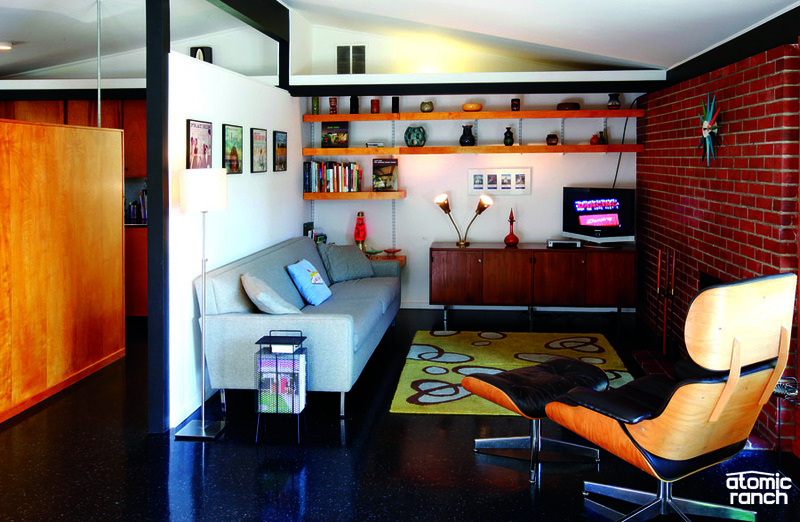 Vinyl’s wartime rise to widespread use caused others to see postwar uses for the hard, easy-to-clean material, and after the war, vinyl flooring entered the scene. Vinyl upholstery was another attractive peacetime use for its waterproof durability and similarity in appearance to leather. Your Nelson Bubble Lamp owes its thin plastic membranes to World War II. While George Nelson was inspired by a silk-covered Swedish spherical lamp, the expensive material during the 40s was simply not feasible or widely available. Instead, Nelson substituted with a wartime military invention—self-webbing plastic. In 1947, on the heels of WWII’s conclusion just two years before, he introduced his Bubble Lamps featuring spherical, saucer-like shapes of the self-webbing plastics over a wire frame. Steel was in incredibly high demand and short supply during the war. After the war, especially in Europe, steel shortages persisted. Previously, concrete structures required steel supports. The need for concrete sans steel became important to rebuilding war-ravaged Europe’s infrastructure after the war. Wartime advancements in high-strength concrete coupled with the previously little-known method of prestressing. Instead of relying on steel to reinforce concrete, applying pressure to the concrete allowed it to maintain the same structural integrity while also being lighter and allowing pieces of concrete to be made in advance and then transported, lending itself to prefabrication. Prestressed concrete played an important part in rebuilding Europe’s roads, bridges and public buildings after the war. It brought cost down and shows up in infrastructure (water storage, retaining walls, bridges and parking structures) as well as both Europe and North America. Prestressed and precast concrete became a popular residential fencing choice. In Europe, sandwiching precast, prestressed concrete with a layer of insulation in between enabled low-cost prefab housing to meet postwar demand. Invented and introduced just previous to WWII at the 1939 World’s Fair, nylon made a big splash. Upon the US’s entrance into WWII, the synthetic material was officially restricted to military use to make such valuable equipment as tents and parachutes. Its reentrance to the public after the war led to its incorporation in homes once again, and not just for women’s stockings but also as a fabric appearing in Midcentury Modern carpet and rugs. It also gave rise to a revolution of synthetic fabrics like polyester, another Midcentury Modern fabric choice, and acrylic. Midcentury Modern designers embraced these new textile options. 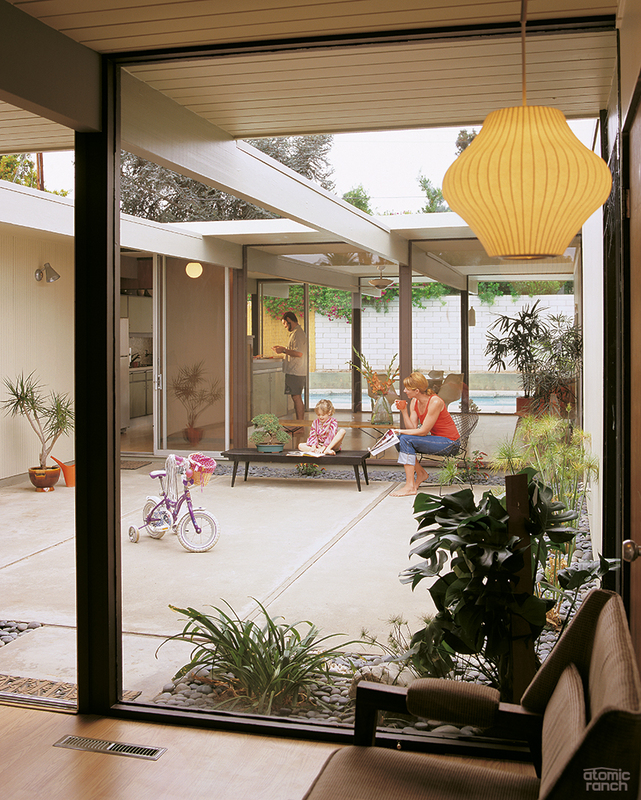 Postwar technology influenced more than just furnishings—it changed the way of life. World War II and the postwar years made clear to Dwight Eisenhower and others the need for a system of roads connecting the country. As the Supreme Allied Commander of the Expeditionary Forces in Europe during the war and overseeing the Allied occupation of Germany postwar, Eisenhower saw firsthand the importance of a network of roadways for defense and the many logisitics that involves. You need to move tanks, people, supplies, emergency vehicles quickly across distances especially in war. He witnessed the Reichsautobahn’s, beginnings of the German Autobahn system’s, usefulness. Later, as President of the United States, Eisenhower took up the cause of an American interstate system. While previous American leaders had also thought of and made plans towards an interstate system, the massive project did not get underway until Eisenhower introduced the 1956 Federal Highway Act. A precautionary military defense, enabling swift movement of troops and military vehicles, the American interstate system also enormously influenced daily life and played a large role in giving rise to many Midcentury Modern characteristics. The freeways made suburban life as we know it possible with easy access to the jobs and resources of a city within an easy-to-traverse distance. The need for housing to accommodate the postwar baby boom combined with the desirability of the suburbs went hand-in-hand with the proliferation of Midcentury Modern homes, which responded to the need with efficiently built housing such as Cliff May’s prefabricated ranches. 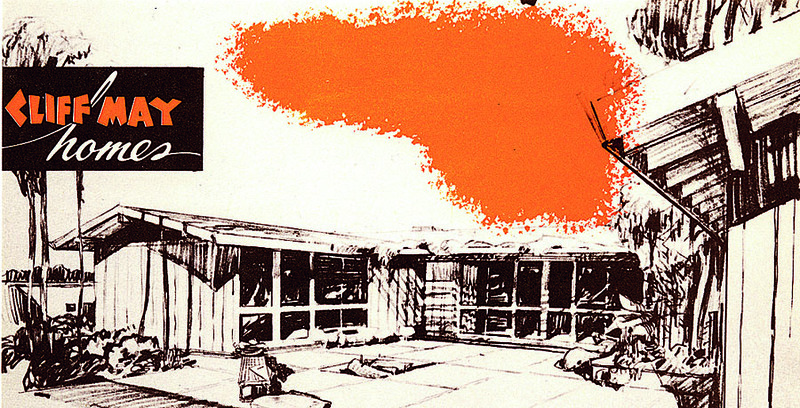 Other iconic midcentury features like roadside motels and diners sprang up along the interstates and encouraged domestic tourism. More efficient and cost-effective movement of goods across the country increased the market for mass produced goods, like furniture to fill all those newly built suburban homes.